9 night tour to Germany - Hamburg, Berlin, Munich. 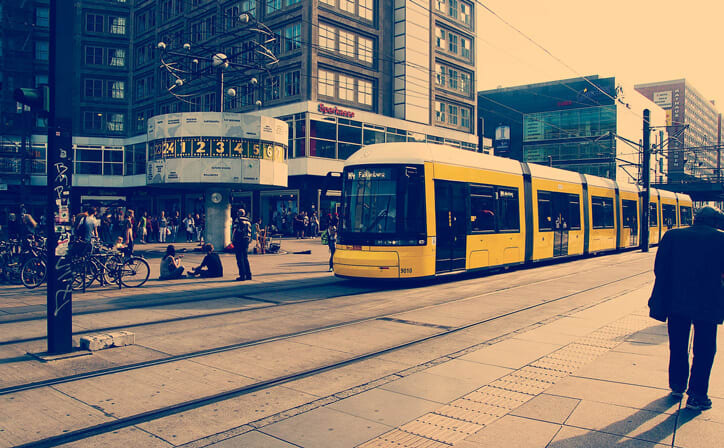 Your Germany holiday will start with your arrival in Hamburg. Meet your manoyatra representative and proceed to your hotel. Check-in and relax for some time. If you want, you can go out to explore your surroundings. Rest of the day free at leisure to explore the city. Have a peaceful overnight stay in Hamburg. Savour a delectable breakfast at the hotel. You will see the best of what the city has to offer with the Hamburg Hop-on Hop-off Tour. You can set your own itinerary on this perfect do-it-yourself combination tour. 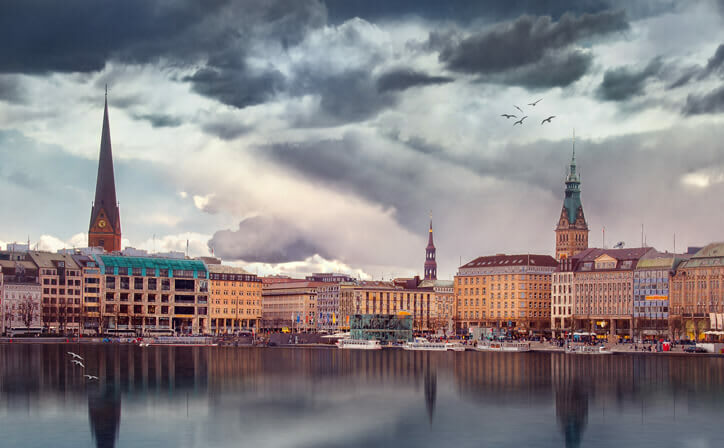 See all the major attractions on your Germany vacation including St Michael’s Church, the newly built Hamburg Harbour City and the famous Reeperbahn district. 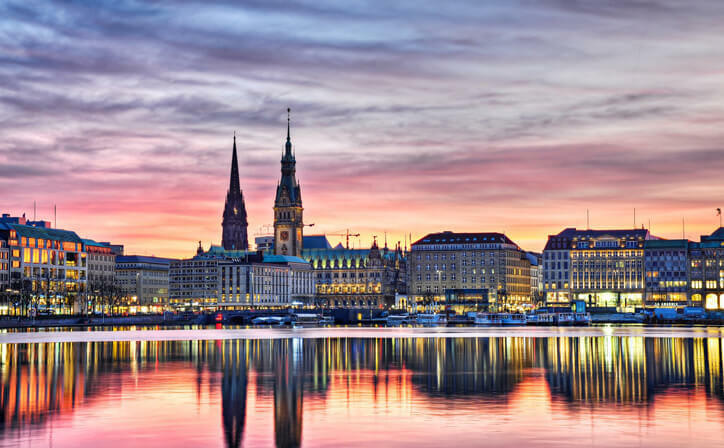 Relax yourself with an overnight stay in Hamburg. Have a yummy breakfast in the morning. Travel from Hamburg to Berlin by train. You will get free time today so that you can explore the city on your own. Rejuvenate yourself with an overnight stay in Berlin. Be pleased with a delightful breakfast at the hotel. 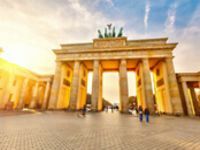 Explore the capital of Germany on your own with the Berlin Hop-on Hop-off Tour which will give you the opportunity to discover the top attractions of the city for 48 hours. A visit to Madame Tussauds will also be included in your ticket. Have a cosy overnight stay in Berlin. Start your day with an exquisite breakfast at the hotel. Your children will love what is in store for today on this Germany tour. You will visit the movie theme park, Filmpark Babelsberg which 20 attractions and 4 shows. It also includes the unique Stunt Show in a Volcano where internationally acclaimed stuntmen present wild car chases, daring fire stunts and flights with cross bikes. Refresh yourself with an overnight stay in Berlin. Relish a tempting breakfast at the hotel. Afterwards, travel to Bavaria by train with the Germany package. 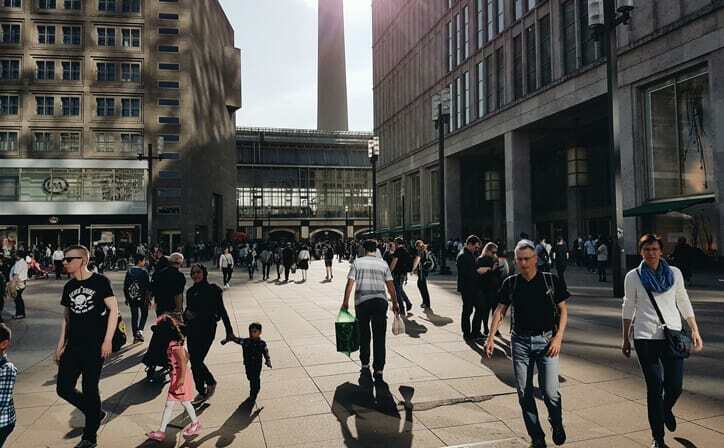 On your way, you will have the opportunity to take a short break and walk in the beautiful city of Leipzig or Nuremberg. Have a pleasant overnight stay in Munich. Dig into a mouth-watering breakfast at the hotel. Munich, the capital of Bavaria is a vibrant city and every year millions of visitors flock here to enjoy the famous Oktoberfest. 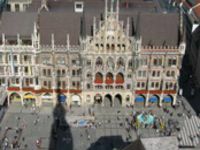 Then, head out for a Munich Tour. 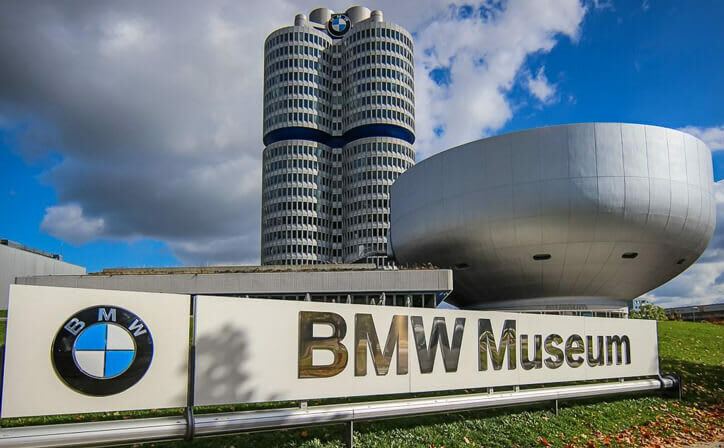 Visit the famous BMW Museum where more than 120 of the most valuable and attractive automobiles, motorcycles and engines from nine decades of BMW history are on display. The afternoon will be free for shopping, sightseeing or spending time in one of the amazing beer gardens in Munich. Tuck-in and have a snug overnight stay in Munich. Get a kick out of a toothsome breakfast at the hotel. After a day full of city experiences, today on your Germany vacation, you will see a different side of Bavaria. 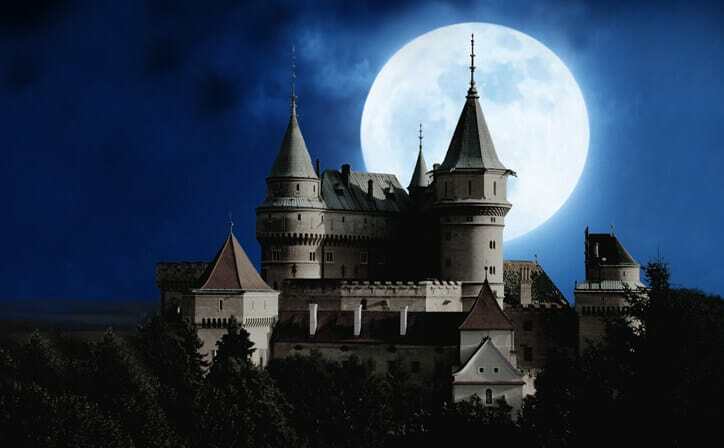 King Ludwig II built two of his dream castles, Neuschwanstein and Linderhof and you will get to explore these castles and the beautiful mountain scenery of Bavaria. Catch a good night’s sleep in Munich. On the last day of your Germany holiday, be pleased with a lovely breakfast at the hotel. You will then head to Munich airport (private transfer) for your departure flight. Germany is a riveting journey of surprise, every turn effortlessly matching the mood and combining the best of old and new Europe. 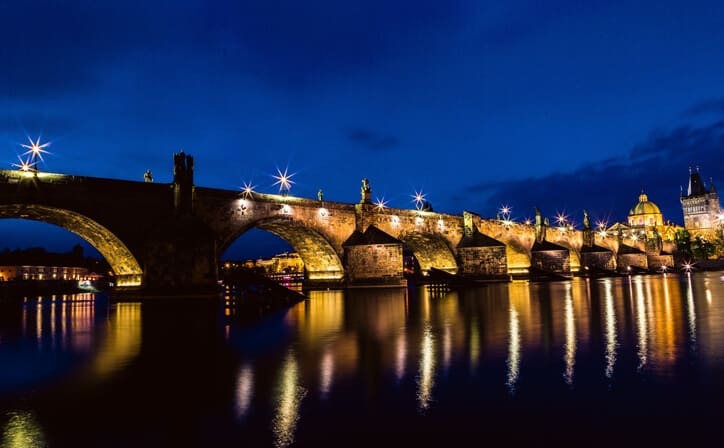 Prepare for a roller coaster ride of feasts, treats and temptations experiencing Germany's soul-stirring scenery, spirit-lifting culture, big-city beauties, romantic palaces and half-timbered towns. ○ Airfare and taxes (both international and domestic). Don’t expect nature; these boat tours are more about seeing what makes Germany’s largest port tick. With 9,000 ship calls per year, almost 300 berths and 27 miles of wharf for seagoing vessels, the Port of Hamburg is a bustling sea superhighway. On a barge tour such as the Maritime Circle line, you’ll get closer to the action happening with the container ships. Or flee the constraints of land with a floating techno dance party on the Love Boat. If speed is your thing, try RIB Piraten, the only speedboat operator allowed inside Hamburg Harbor. On the last stretch of this tour, you’ll reach top speeds on a rigid inflatable boat which skims the waves at 60 miles per hour..
What is the best time to visit Germany? For more settled weather with sunshine and comfortable temperatures, late spring and early autumn – May, September and early October – are the best time to visit: the Germans don't call the harvest season “goldener Oktober” for nothing..